Does your home seem worn and outdated? Making some simple updates can dramatically improve the look and value of your entire property today. 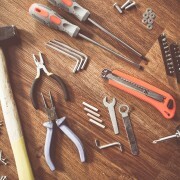 Below are four easy home improvement projects that you should consider. Here at Anello Fence we specialize in installing and repairing all types of fencing. We have seen the improvements a new fence can make on all types of properties. In fact, some of the biggest transformations we’ve seen have been when we tear down old fences and put up brand new ones. If you’re looking to update your yard, contact us for a new fence. Bathrooms can get grimy and dirty yet many people don’t think about updating them. Remodeling your bathroom can bring a whole new look and feel to the inside of your home. Not only that, it can make you feel less stressed now that it’s not so gross any more! Your kitchen gets a lot of use. Many people spend the majority of their day in the kitchen. From cooking to cleaning, it gets a lot of wear. If your kitchen looks old and in need of an update, remodeling could be a great option. From new kitchen cabinets to new countertops, installing even something simple like a new refrigerator could make the kitchen feel like new. Does your property look dull? If you’re not into gardening, proper landscaping can still help bring a new life to your property. You can work with a landscaper to install shrubs, plants, or even trees to make your property look like new. Here are some great landscaping ideas. If you currently only use your basement for storage and washing clothes, you might want to think about converting it into a refinished basement. The whole process isn’t hard to do and can really increase the overall value of your home. If your energy bills are high, you should probably look into solar power. Yes, the initial investment could be a lot of money but you will eventually start to save a lot of money. Many people think that installing solar power will make their home look ugly and choose not to do it. That’s false! First, solar panels are hard to see unless you’re above the house. 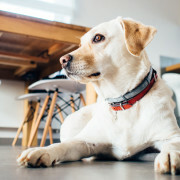 Second, they increase the resale value of the home. Your home is, most likely, your biggest investment. It is important that you keep it safe. Having a fence installed ensures the safety of your property, home, cars, and, most importantly, your family. Before you can choose a fence style, it’s important to make sure you select a fence contractor that has the abilities and resources to complete the job at a reasonable price, on time, and without error. 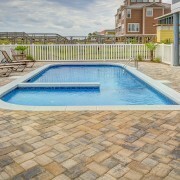 Choosing the right fence company in NJ for your next project can be a tough decision. We know it can be a headache, there are a lot of things to consider before making a final decision. That is why we created this article, to help you pick the best fence contractor in NJ. The first step is to search the internet for phrases such as: “fence installation nj”, “aluminum fence nj”, etc. This will give you a good idea of what companies are around the NJ area. Make sure to check out there social media profiles. Are they actively engaging with their customers and posting regularly? If so, you know that this fence company cares about customer service. Next, look for companies with professional looking websites. This is a sign that they care about the quality of their work. If a fence contractor spends little time and money of the look of their own site, what makes you think they will work harder on your fence? After you find a few companies, search their sites. Do they have a lot of information regarding the services they provide and products/materials they sell? A reliable company will have all the information you will need right on their website. Do you provide American made fencing materials? How long do you estimate [insert your project] will take? Follow those simple steps and you will find the best fence company in NJ for your next fencing job. To learn more about Anello Fence and the services we provide, fill out our contact form and we will get back to you as soon as possible! With spring in full-swing and summer slowly on its way, now is the time to have your pool fence installed. 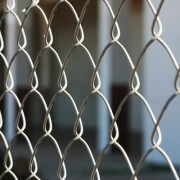 Chain link fences are one of the easiest ways to provide a safe enclosure relatively quickly. While they are usually not meant to “spruce up” a yard, they are perfect for back yards and businesses looking for extra protection. First, we find your property’s boundary lines. It’s important that we make sure, when setting the posts, that we do not encroach on your neighbors property line. Next we measure and mark the exact location of each post with a stake (accommodating for hinges, gate posts, etc). Here’s a good diagram explaining how we go about installing the fence post. It’s very important that the posts are level and set at the right height or else the entire installation will be ruined. After the terminal posts have set, we then locate and set the line posts. Next comes installing the fittings to the terminal posts and apply each terminal post cap. Once the fittings and post caps are on, we can move on to putting the top rails on the fence. Lastly, after the posts have all set, we install the chain link. This is where exact measurement in the previous steps comes into play. Even if you are just an inch off, it can distort the entire fence. That’s why our motto is, “measure twice, cut once”. If you’re interested in our chain link fence installation services, give us a call today! Choosing the best fence company can be tough for a lot of people. There’s a lot to consider! We noticed a lot of first time fence buyers wondering what they should ask prior making a purchase. If you’re one of those people, this blog post is just for you. Today we’re going to go over everything you should look for when searching for the right fence companies in NJ. This is a big question that a lot of consumers forget to ask but it’s very important. Experience in the fencing industry will tell you a lot about how good the craftsmen are. If they’re only a few years old, you might want to pass. Look for companies like Anello Fence that have over 50 years experience. Making sure that the company you hire is license and insured is also very important. If something goes wrong and someone is injured, you want to make sure that there are no liabilities on your end. Plus, these things tell you that they are a legal, professional company operating in New Jersey. In todays day and age, with sites like Yelp, it’s easy to see company reviews. However, be careful because the reviews you see can sometimes be from other companies trying to damage the reputation of a competitor. This unfortunately has happened to us. Fortunately, you can view a selection of our client testimonials here. 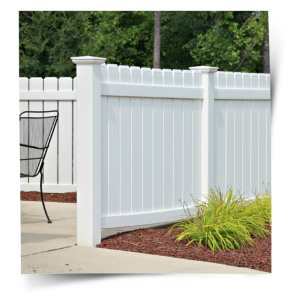 Often times fence companies cannot afford to carry all of the popular styles – vinyl, aluminum, chain link, etc. Make sure to ask if they carry your preferred style in stock. That way you don’t have to wait weeks (or even months) for them to have your fence shipped from the distributor. As one of NJ’s largest fence companies, we carry the largest selection in the state. This is because we have warehouses full of the highest quality fence supplies. Even though New Jersey is a small state, a lot of fence companies only serve a small portion of it. When searching for the right company, make sure you find out if they serve your area. 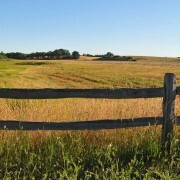 Anello Fence proudly serves the entire state of NJ – no job is to far away for us. There you have it, the five questions you should ask every fence company before buying from them! If you’re interested in working with Anello Fence, we’d love to set up a free estimate! Fill out the form on this page and we’ll get back to you ASAP.